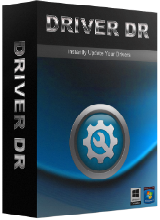 Driver DR is a professional software for driver update and driver download. It has a database that includes more than 8,200,000 drivers. It will help you update drivers in your Dell, ASUS, HP, Lenovo, Acer and Samsung or other brands of computers to their latest versions. You can find the latest version of drivers for your graphics card, audio card, keyboard, mouse, touchpad, monitor, motherboard and network card as well as help you download them.